One of the highlights of the Hungarian HiFi Show 2018 was Djabe’s Witchi Tai To. This album, known for its legendary sounding, reborn in the best possible analogue format. 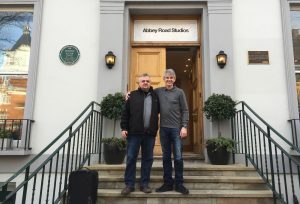 Now, this technique reached the album Update: manufactured at Abbey Road Studios, London by the world-famous mastering engineer Miles Showell, the half-speed cut master discs were made from remastered analogue master tapes. For the best audio quality, he chooses 45rpm technology. First renewed in 2001, the album Update won the eMeRTon Award right after its premiere in May – the professional jurors awarded the World Music Band of the Year to Djabe. This great success did not peak in only the award, as this is the album that brought the first foreign invitations for the band. Since then, Djabe performed in nearly 50 countries, for the joy of the audience. After the 2001 reformation the band got a new soloist: Ferenc Kovács (trumpet, violin). Next to András Sipos (percussion) arrived the young and talented Szilárd Banai (drums) and made an excellent percussive duo. A position never existed before was filled by Zoltán Kovács (keyboard). Besides András Sipos two more remained from the old line-up: Tamás Barabás (bass guitar) and Attila Égerházi (guitar). Ferenc Muck (saxophone) left Djabe at the end of 2000. Between 1997-2000 Djabe’s sounding was vastly determined by saxophone, and so it had to be filled – and none other did but the Englishman Ben Castle, who expanded the band’s instrumental portfolio by his flute and bass clarinet. At Update’s recordings the Moroccan vocalist-percussionist Saïd Tichiti also appears, with his characteristically Moroccan folk music of gembri and vocal added an exotic flavor to the composition First Step. The music gained complexity compared to the world music-dominated Djabe of 1996-2000 and made a turn towards jazz, largely because of Tamás Barabás’ s compositions, most of them co-composed with Attila Égerházi. Besides the eMeRTon Award, the CD was also nominated for the Hungarian Music Award, showing the band was still largely popular in its home country. Originally, the album released on casette and CD. In 2011 a new surround mix was made and released in single and double DVD-Audio versions (the second DVD contained the 2001 gig in Szolnok, Hungary in 5.1 mixing, and numerous documentaries and TV appearances). 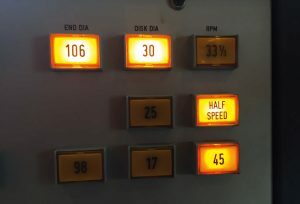 The 2011 Deluxe Edition was the same stereo mix of 2001, because the band was so satisfied with Tamás Barabás’ s audio engineer job and did not want to touch it. 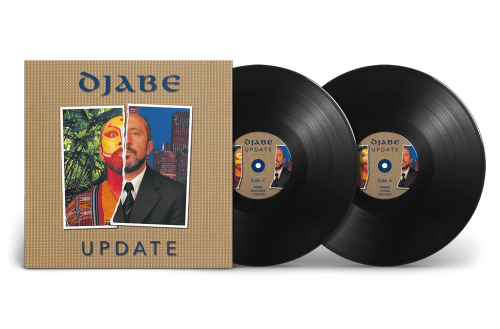 In 2018, Djabe decided to release the album on vinyl for the first time, in the best possible audio quality. For this project new analogue master tapes of the 2001 mix were made by Attila Égerházi. These tapes were the base for the works at Abbey Road Studios, London, where one of the best mastering and editing audio engineer worked on them, in the no. 30 editing room to make half-speed lacquer master discs. 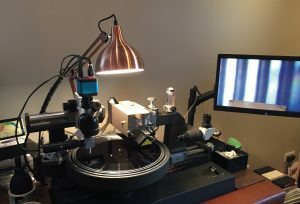 The half-speed cutting technique guarantees better audio quality compared to normal manufacturing, as the stylus cuts grooves much more precisely, with more audio data. The improved quality becomes even more significant at 45RPM (compared to the normal 33RPM) discs. This combined technique guarantees the best possible master disc for manufacturing. Djabe ordered the vinyl records from Europe’s best pressing plant, the Recording Industry, Netherlands. For the perfect audiophile experience both discs weight 180 grams. This technological prowess exceeded all expectations – Update never sounded better. It became a real yardstick of hi-fi test discs. Even at 45RPM, there is no need for frequent side turns as all four sides have a 15 min or longer play time.